An EcoWater drinking water filtration system is more convenient and less costly than buying bottled water. Think of the convenience of not having to store water, run out at inconvenient times and not worry about lugging heavy cases or bottles of water around. Pure water to your finger tips! Best of all, it pays for itself over time and makes a difference you will notice. EcoWater drinking water purification product will be used for more than just drinking. It is ideal for coffee, tea, cooking, ice cubes, baby formula, juice concentrates, aquariums, house plants and steam irons. ERO 375E with Electronic Base helps remind you of regular maintenance and if a problem occurs. This is a very simple under counter filtration system. The water will flow in to the unit and out to a separate faucet. This faucet will be used for drinking and cooking purposes. Chloramine. 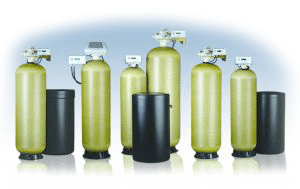 H2TO Water Treatment will find the best product that suits your needs. The HydroLink Plus® features the Wi-Fi connected board and allows you to receive email or text notifications. Once the conditioner/refiner is connected to Wi-Fi you will be able to view softener status from anywhere.